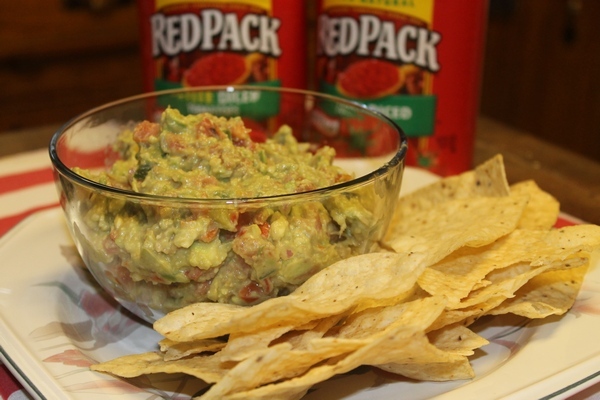 Toss in the Flavor with RedPack for a Chance at a $350 Prize + Recipes! I received complimentary RedPack products in exchange for this post. All opinions are my own. Summer is all about Salsa, don’t you think? Well, maybe not ALL ABOUT, but Salsa recipes definitely play a major role in all those summer backyard bashes! You can’t make salsa without tomatoes. 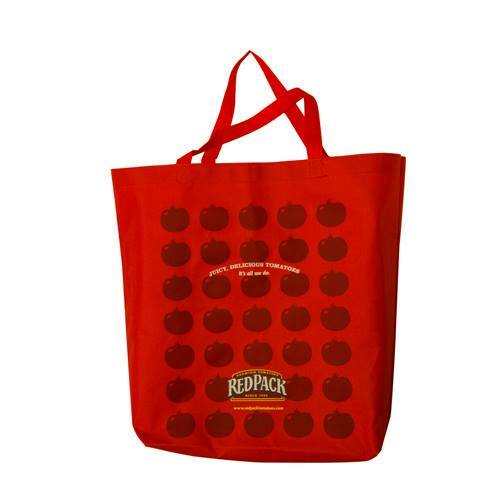 RedPack has always been the premier name in tomatoes, so why not go with the best in your recipes! Who knows, you may even have a chance at a great prize worth $350! Mash up the avocado until it’s the consistency you prefer. Then just mix in the other ingredients. That’s it! Serve either chilled or at room temp. I love eating it with the Hint of Lime chips. Looking for more recipes? How about this one, courtesy of RedPack. I didn’t have a chance to try this one yet, but it sounds delicious, don’t you think? In a large salad bowl combine lettuce, corn, chicken, avocado, blueberries, Redpack Petite Diced Tomatoes, bacon and cheese. Sprinkle with salt and black pepper then toss thoroughly. Pour dressing over salad, and then toss once again. Serve with tortilla chips. 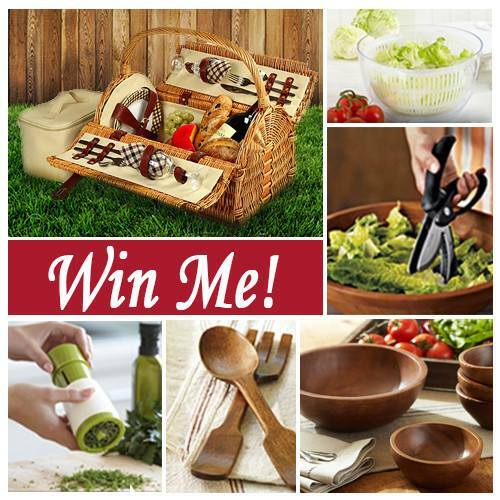 Right now, you can enter for a chance to win a $350 Redpack Gourmet Salad Pack that includes one (1) Redpack Tote Bag, one (1) Sussex Picnic Basket and Blanket, Pampered Chef items including: one (1) Salad & Berry Spinner, one (1) Salad Chopper, one (1) Salad Bowl Lid, one (1) Bamboo Salad Tongs, one (1) Pottery Barn Vintage Wood Serving Set, and the products to make the Redpack “Seasonal Salad Recipes.” Each week during the promotion, 1,000 winners will also receive a cool RedPack tote bag. To enter, just head over to the Toss in the Flavor Sweepstakes page, like RedPack on Facebook and fill out the form. The promotion ends July 2, 2014. Check out all the official rules on the sweepstakes page. It takes less than a minute to enter, so what are you waiting for? 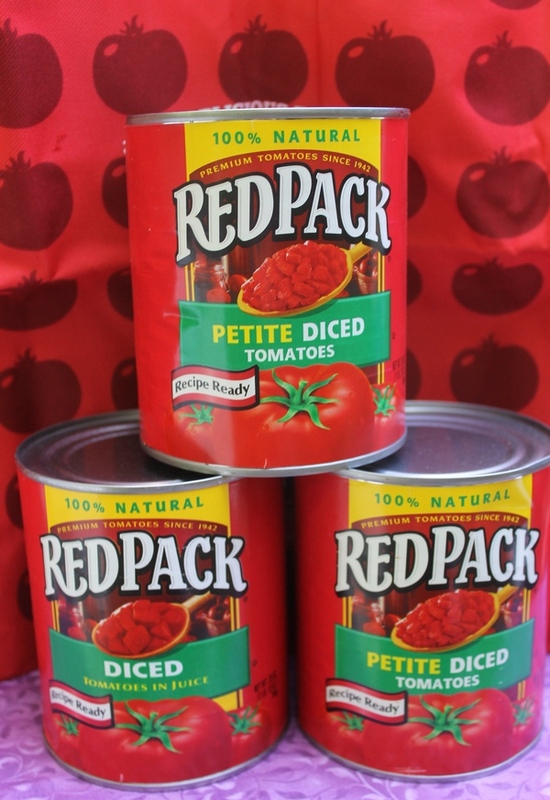 What is your favorite recipe that uses RedPack tomatoes? This looks so healthy to eat! Lots of nutrients here!